Zombies and Star Wars! It’s the moment you’ve been dreaming of! 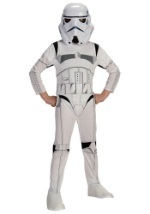 The Star Wars zombie Stormtrooper costume includes a black polyester jumpsuit with attached polyfoam armor pieces. A series of Velcro snaps along the back make changing into this costume easy. The armor pieces cover the chest, arms, and legs, and feature various dents, cracks and blood stains to simulate damage. Rips and tears in on the leg, arm and chest also reveal bloody flesh beneath. 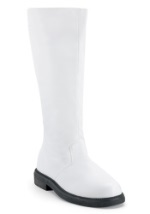 A polyfoam belt with black polyester ties in back fits around the waist to bring the look of the suit together. 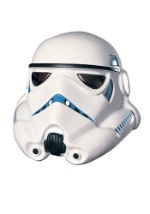 The included helmet comes in two pieces, made of PVC. 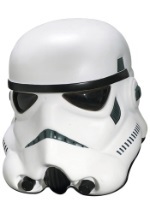 The pieces are molded to look like a classic Stormtrooper helmet with blood splatter and battle damage and fit together with a set of Velcro fasteners. A hole near the mouth allows for comfortable breathing, while a set of tinted lenses at the eyes allow for vision. Show the Rebel Alliance just what the Empire’s Death Trooper s can do!